I know I said that this post was meant to go up last week well… life happened. Sorry to have kept you waiting, I hope you all had a lovely weekend. You can read part 1 of this post here. Ok, now back to business. 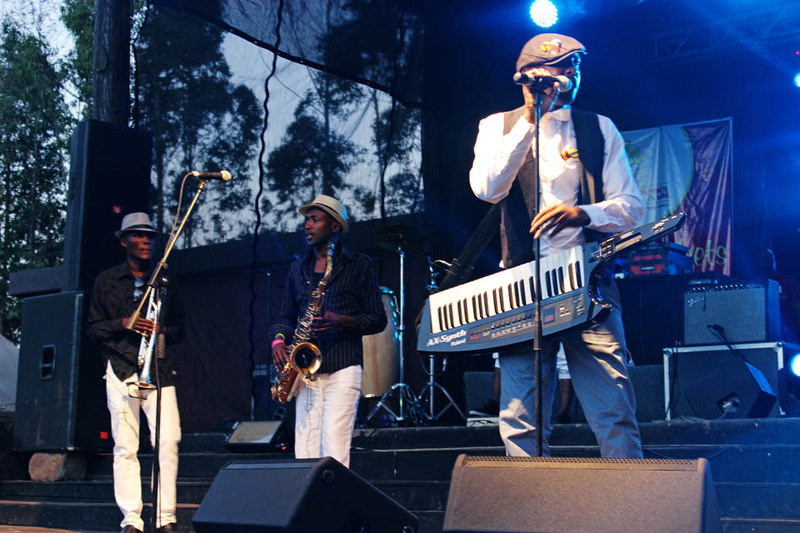 Sunday’s line up was AntoNeosoul (Kenya), Harry Kimani(Kenya), The Villagers Band (Kenya) and Mafikizolo (South Africa). The previous day I left the concert at around 2am as the last 2 performances had lasted well into the night. Come Sunday morning there was no way I was going to make it to Carnivore on time. Once again the event was to start at 2pm. This time I was not worried about getting a spot in the shade because a friend had gone ahead and secured one. 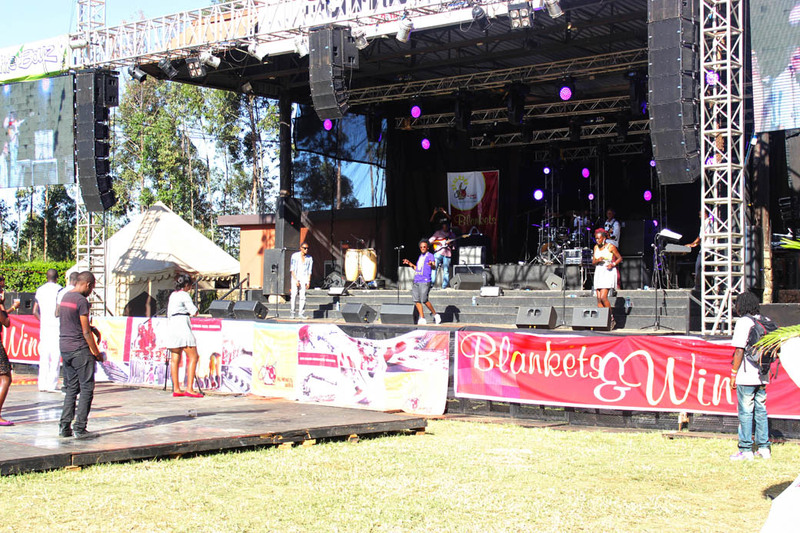 The first act on stage was Antoneosoul, missed most of his performance. 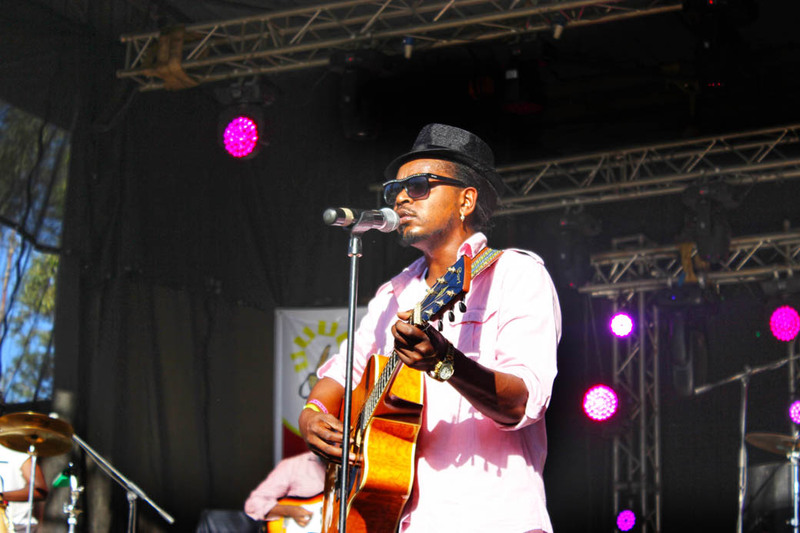 Next on stage was Harry Kimani. 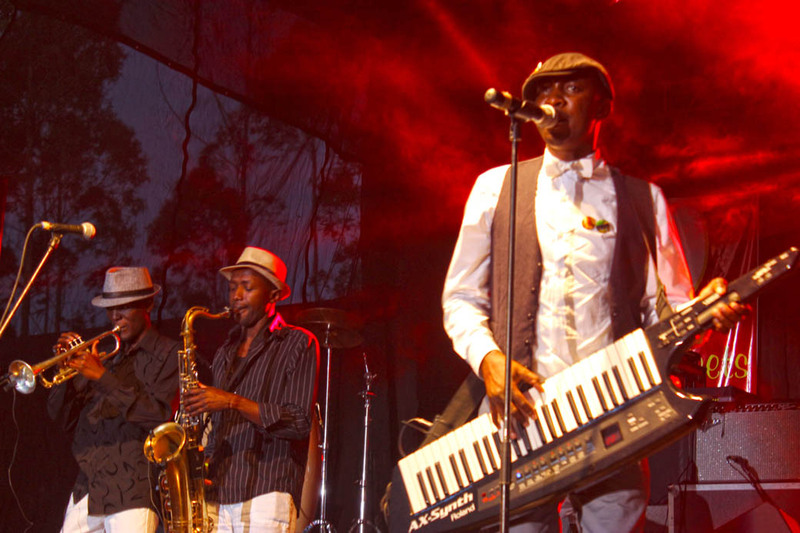 Kimani’s musical style has been described as “African soul with a little bit of rumba and R&B. 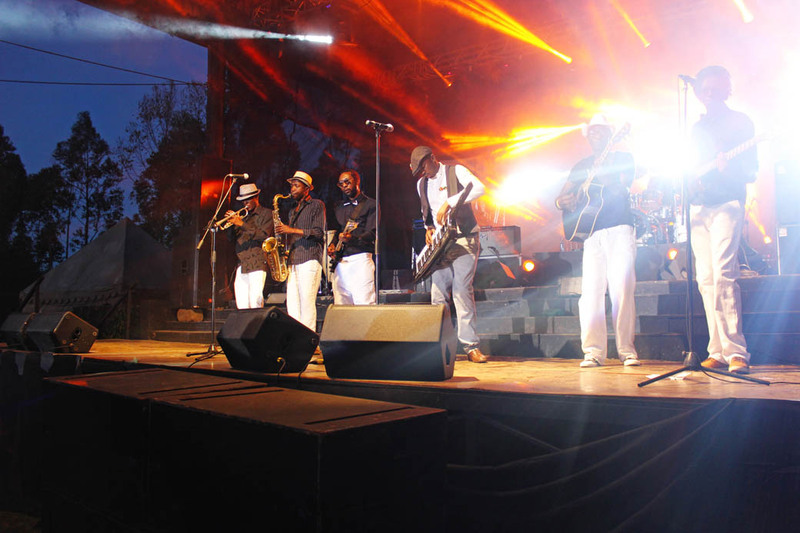 After Harry came The Villagers Band, if you have not seen them performing live then you are definitely missing out. 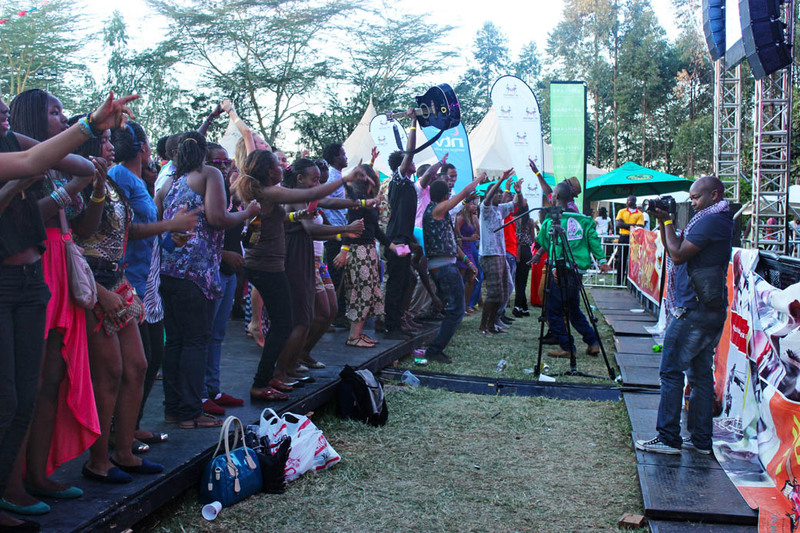 Their energy on stage is crazy, Chris Adwar, the lead singer refers to the type of music they do as Begenge. 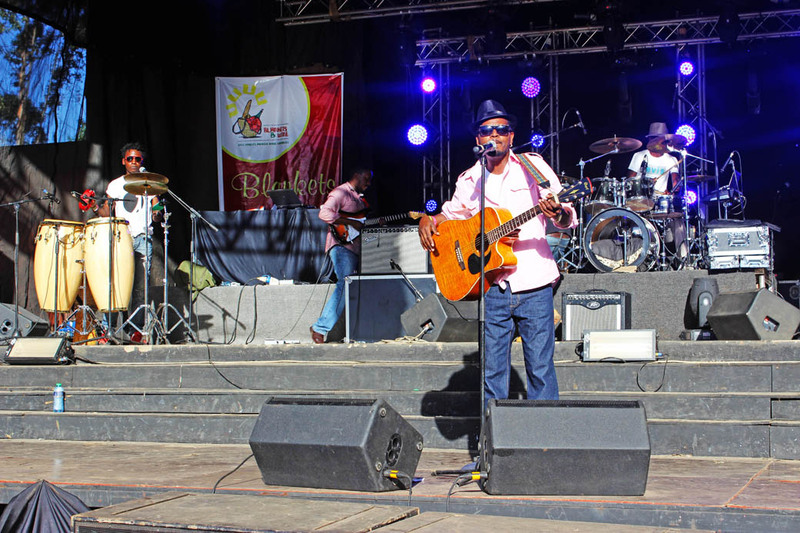 There was a surprise appearance by Karun and Kato Change who did a wonderful rendition of the national anthem as a tribute to the victims of the Westgate attack. 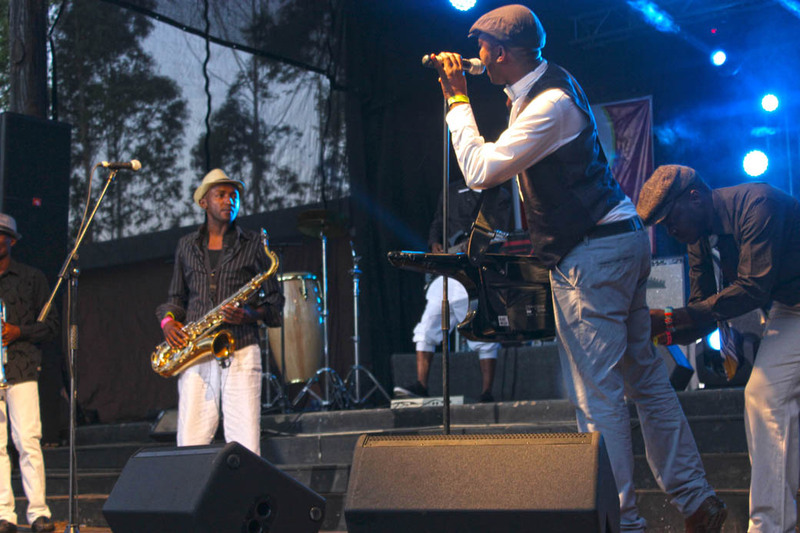 Karun and Cato Change performing a rendition of the Kenyan national anthem. 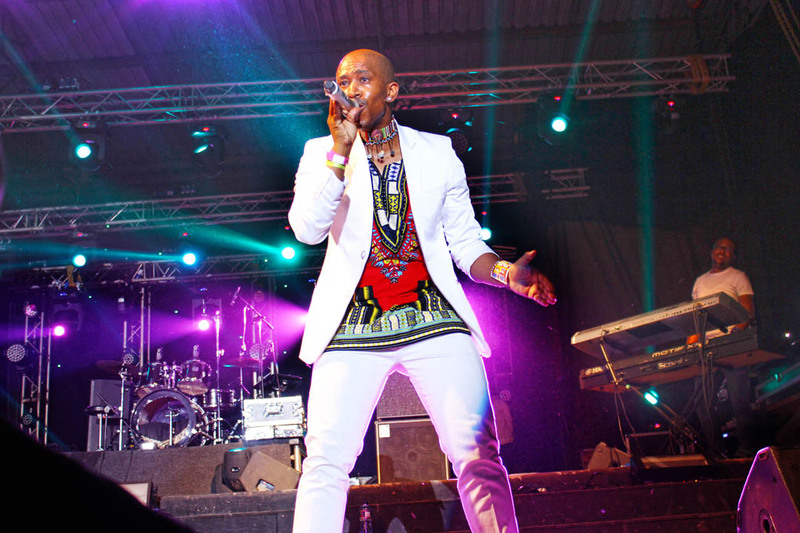 I can bet the majority of the crowd had attended the event because of the last act on stage – Mafikizolo. 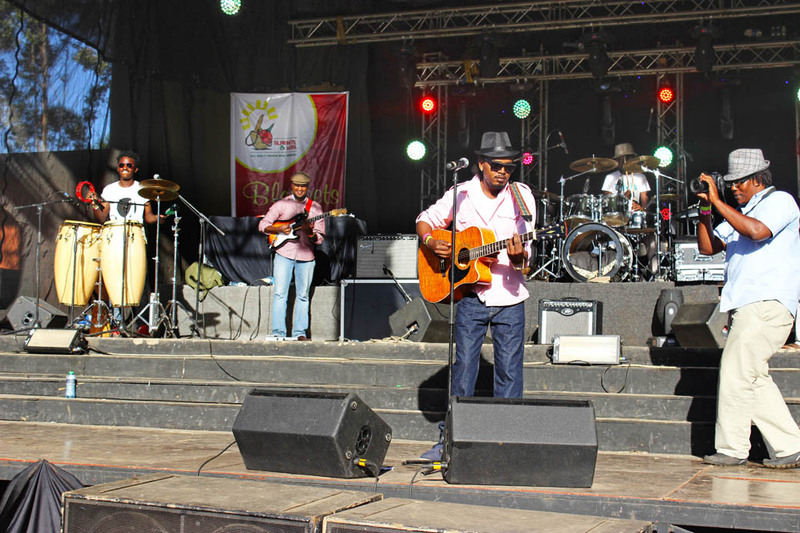 The members of this group are Theo Kgosinkwe and Nhlanhla Nciza. 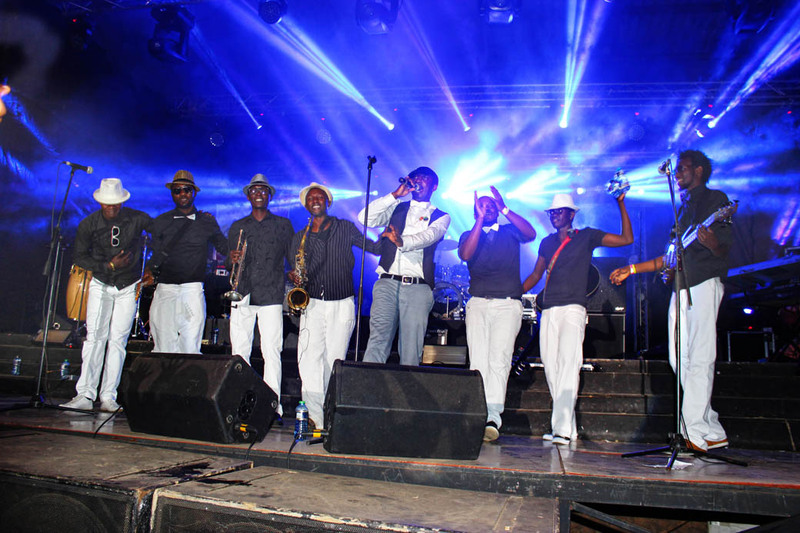 The of music this group makes is called South African genre known as kwaito. Everyone was pretty much ready to sing along to Mafikizolo’s Khona despite Khona being pretty much the only word they know in the chorus. Nhanhla and Theo were joined on stage by their dances who definitely kept us entertained throughout. If you like this post, please share it using any of the social media buttons located to the left and bottom of the page, Thank You! We’ve linked up with Travel Photo Discovery’s Travel Photo Mondays and Our World Tuesday. Great captures, that’s not easy for evening shots….it looks like a fun event and the music must have been rockin! You’ve captured this really well, looks like a lot of fun! Nice selection of shots. Looks great! So much energy and great photos. Hi Rachel, this event looks fun and incredible. I can’t believe you have it every month! Great photos. You captured the performances and the audience very well. That looks and sounds like a lot of fun. I’m a big fan of live outdoor concerts. The last one I took part in was Robbie William’s performance in Brussels. Epic time and unforgettable experience! 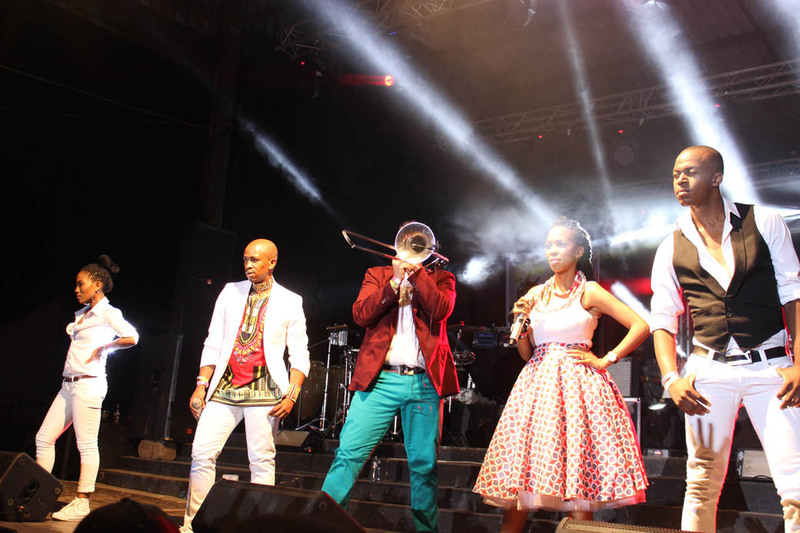 I have also listened to the Mafikizolo playlist and these guys have great music. Pity I had not heard about them. Looks like quite a fun celebration, Rachel. 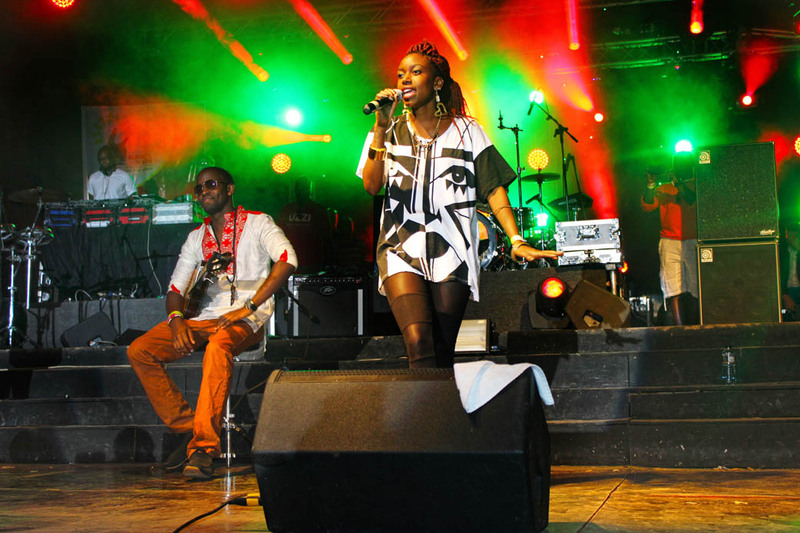 Both of these posts have made me really curious about African pop music. 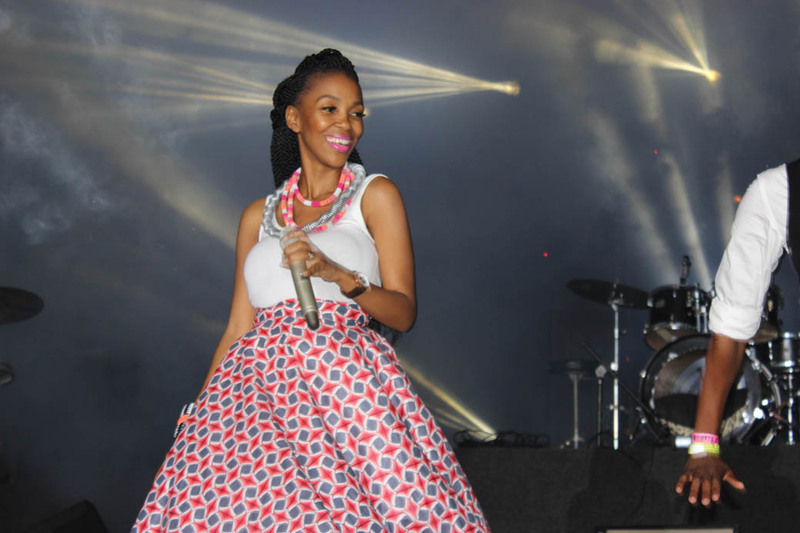 And I really like Nhlanhla Nciza’s dress – seems like she has a lot of style! This looks fun and I can almost feel the energy of this whole concert. What a celebration! Beautiful captures, Rachel. Totally sad that I missed this. 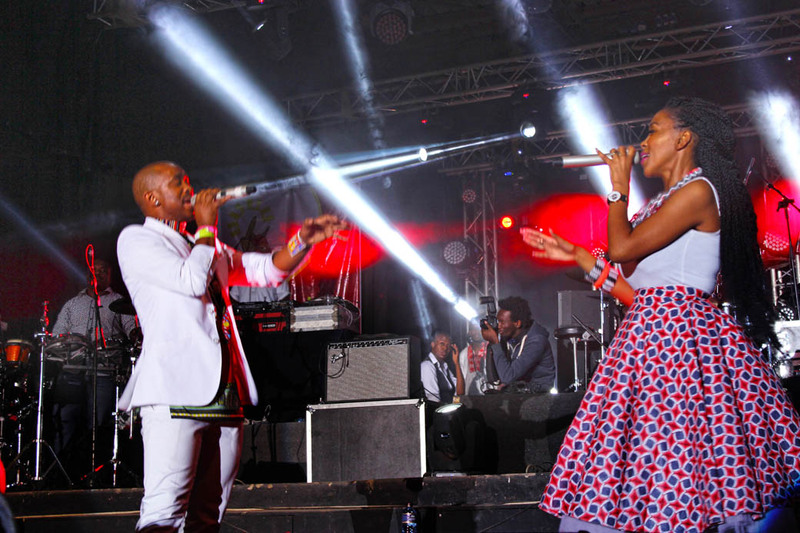 Would have been fun jamming to Mafikizolo live.